Big Apple Circus to provide community service programs, including Clown Care®, which brings the joy of classical circus to hospitalized children. "This is an opportunity for Big Apple Circus to refocus its energy and talent," said Executive Director Will Maitland Weiss. Photo by: Marcel Reimer, via Free Images. New York, NY - July 26, 2016 - Big Apple Circus, whose performances in New York and around the country have thrilled audiences for years, announced today that while it has not raised sufficient funds to produce a show under its Big Top next season, the recent donations it has received will enable the organization to restructure and continue to provide community service programs, including Clown Care®, which brings the joy of classical circus to hospitalized children. "This is an opportunity for Big Apple Circus to refocus its energy and talent," said Executive Director Will Maitland Weiss, "on our programs that uplift the spirits and enhance the lives of children in hospitals, seniors, and others who can benefit from our unique services. Clown Care, for example, currently works with 16 leading pediatric facilities across the United States and has helped millions of children over its 30-year history. These programs receive substantial philanthropic support and are an essential part of our mission." The nonprofit organization announced last month that it was in financial distress and launched an emergency fundraising effort which raised over $900,000 from more than 1,600 donors. "Our deepest thanks go out to the many people who sent donations and voiced their support for the Circus," said Weiss. "While the response was heartening, we ultimately did not raise enough cash to go forward with rehearsals and ticket marketing in August. However, we will continue operating Clown Care and other community programs and hope to be able to return to performing under our Big Top in a later season, including offering our specially adapted performances for children and families affected by physical and/or cognitive challenges." 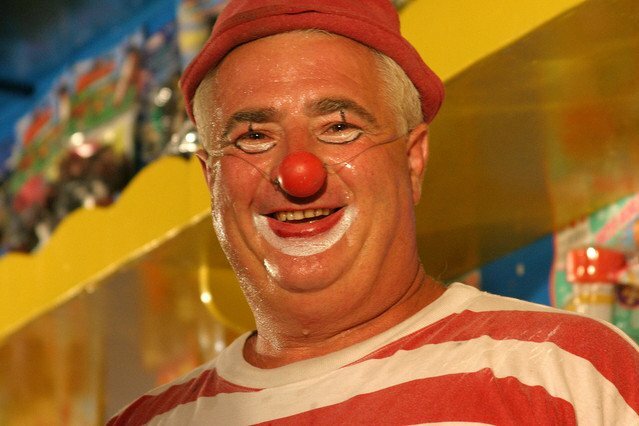 "The spirit of Big Apple Circus will stay alive through our community programs, and everyone who has supported us over the years can take heart from that," said Weiss. "This plan also gives us the best chance of generating sufficient revenues over time to allow us to fulfill our financial obligations." "Of course, our door remains open should any potential benefactor want to step forward immediately to reverse our fate and ensure a 2016-2017 season. And with our extraordinary contacts in the circus arts world, we will continue to broker what we call Circus-to-Go engagements-providing clowns, acrobats, aerialists, and other performers for private parties and events." Weiss pointed to a number of factors that have contributed to the Circus' economic distress, particularly a significant drop in revenue from private performances, where companies or organizations buy the entire tent. This decline began after the 2008-2009 recession and has never recovered. The Circus also suffered as tragedy repeatedly hit locations where it was performing: Hurricane Sandy in New York in 2012, the Boston Marathon bombing in 2013, and the Atlanta ice storms in 2014. Conceived and founded by Paul Binder and Michael Christensen in 1977 to be a leading presenter of live family entertainment, the nonprofit Big Apple Circus is renowned nationwide for its performances and community programs. Big Apple Circus engages the communities it serves through the joy and wonder of classic circus arts, creating direct, shared connections in hospitals, nursing homes, and schools, in its New York City home and in cities across America. Subject: LongIsland.com - Your Name sent you Article details of "Big Apple Circus to Focus on Community Programs in 2016-2017"